Bologna, we come back again! Home → Blog → Book fairs → internationalization → Bologna, we come back again! 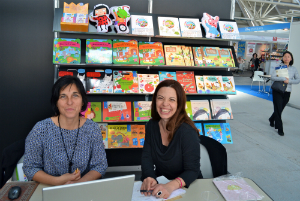 One more time we have enjoy with the Bologna’s Children Book Fair. It’s a pleasure showing our books cooked in a slow way and realize that people like.